Abhisheik from Chandigarh who has 90% disability in right-leg. He represented India in Hero para-asian cycling championship in the year 2013. He approached AMF with requirements to further his sporting career in cycling. He was given a bicycle worth 1.25 lakhs in an event organised in Our Sacred Space in 2013. 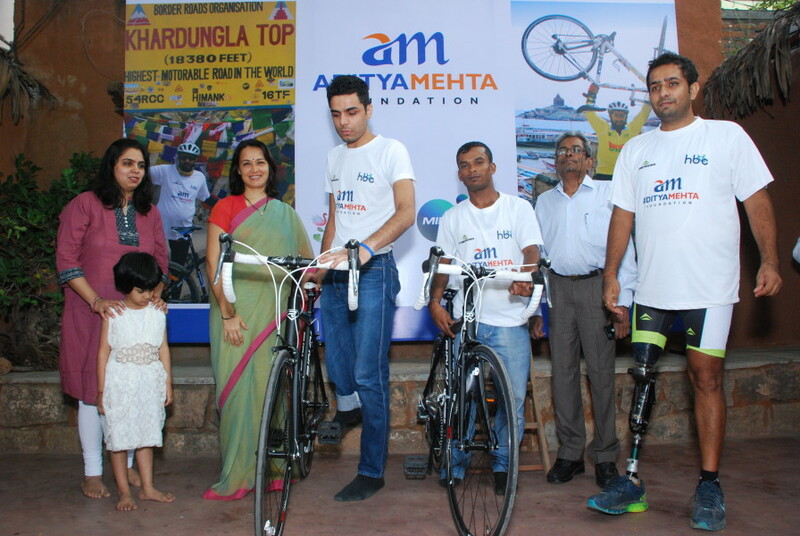 Animal Activist Amala Akkineni presented the cycle on behalf of AMF.